From this, we might conclude that Strike One is the difference between a first-division regular and a career minor leaguer. Professional ball-throwers seem to be concluding the same and seeking strike one like a kid with a crush on Amber. You don’t need a line graph to see what’s happening here. Pitchers are getting ahead in the K-zone early while missing more and more bats throughout counts, and especially seeking swinging strikes outside the zone late in counts, culminating in a lot of contact-free at bats. How valuable is defense, really? If everyone’s striking out, should we be penalizing high-strikeout hitters? How much of a premium should we pay for high-contact hitters? We’ll be discussing these questions and more on a weekly basis in this space, but today I want to focus on the pitchers in brief. If you’re like me (and if you’re reading Razzball, there’s a chance you are), you’re about ready to see a list of pitchers you should be buying in 2019. You might notice the top group is peopled mostly by humans in forward-thinking organizations like the Astros, Indians, Rays, and Yankees. Also, there’s a Met. The Diamondbacks of this vintage have been flavored by Dan Haren and Randy Johnson in advisory roles and Zach Greinke in the dugout. Plus, humidors are moist, and Patrick Corbin worries me in terms of this particular list’s predictive value. He’s expensive in our game (NFBC Draft Champions ADP 46.25) and headed to a homer haven where he’ll do all he can to meet the expectations of a fan base getting sick of big-stage struggles. I wish him luck but doubt I’ll draft him. The most important takeaway is that Trevor Richards is clearly better than Walker Buehler. Okay so he’s probably not, but his skill set might bump him up the Stream-o-Nator throughout the year. Good late-game flier in draft-and-holds. I need to watch a little more Joe Musgrove, but the cost (ADP 235.25) is not extreme given his extreme first-strike skills and his ability to throw balls past bats. His second-half WHIP was 1.01 with an opponents’ OBP of .263 and a 7.14 K/BB. I’m into it, especially if he seems healthy in Spring after ending last year with an abdomen issue. I think Masahiro Tanaka (ADP 132.14) would put up fantasy ace numbers in some settings. If he were a Giant, he’d be a giant. And he was just that in the 2nd half of 2018 even as a Yankee. He’s been a little underrated for a minute, due in part to the fart festival he threw for you who bought in 2017. That said, I doubt I’m buying. I bought a ticket to that 2017 fart-fest, and the smell still lingers. I’m out on Stephen Strasburg (ADP 58.11). He’s losing velocity, command, and health. Matt Shoemaker (ADP 452.88) is the same human who threw disappearing splitters once upon a time for a very short stretch. He’s free, so if he’s hot and healthy at any point in the season, I won’t hesitate to plug and play him. German Marquez (ADP 75.98) looks like an ace, both in the box score and on the mound, and the Rockies might actually be conquering Coors. Leave it to a German to start conquering the unconquerable, am I right? I’ve seen Marquez traded in a couple dynasties this offseason, and the price is right. I suspect that’ll change soon. High strikeout, big workload aces are not easy to find. Speaking of aces, Blake Snell (ADP 26.69) is every bit as good as his Cy Young season suggests, and given his second half improvements, he may have another level. Don’t be dissuaded by his outsized left-on-base percentage. Part of the reason I bought last year was his dominance in high-leverage situations. That’s just what elite pitchers do: slam the door if it ever creaks open. The Rays’ Opener worked for a lot of reasons, but the fact that early game dominance is rare is certainly one of them. I left Ryne Stanek up here for reference and reminder: don’t compare relievers’ rates to starters. We’ll treat each as its own bucket in future issues, except for the Openers which count as Starters when sorting and setting leaderboard controls. Aaron Nola is a buy for me even at his ace pricing (ADP 22.92). The Phillies were awful on defense last year, but it didn’t crush him like it did Arrieta. I love that about a pitcher. One thing that always bothered me about Strasburg was how an error would deflate him. Having Jean Segura playing shortstop instead of Scott Kingery impersonating a shortstop could make a big impact on that infield and on Nola’s outcomes. Fewer errors = fewer pitches = more innings. I’m not big into Nick Pivetta at his price (ADP 153.5) despite my comments about Kingery. His shove score, which is kind of a shorthand amalgam of the thing the ‘perts like about him, is not that far from league average, and I think pitching goes beyond the numbers sometimes, like when there’s a Ricky Nolasco or Jeff Samardjiza situation where they throw a lot of strikes but don’t command within the zone. Pivetta’s command should improve with big league experience, and I’d be interested if he were cheap (as he’s likely to be in your home league), but his upside seems priced in here, sitting just above Shane Bieber (ADP 154.11), Andrew Heaney (167.13), Tyler Glasnow (172.69), Alex Reyes (181.73), Yusei Kikuchi (187.92), Ross Stripling (215.53) and a whole slew of other arms I’d take before Pivetta. Oh, and in case you’re curious why Shove Score multiplies Swinging Strike Rate by six, we’ll discuss that a bit going forward, but in short, I’m just trying to equalize the impact of the two skills represented by Shove Score, and if you multiply the league average Swinging Strike Rate by six, it’s almost identical to the league average First Strike Rate. JFOH, you see what I linked to in my post to you? Itch! Great stuff! The Marquez Razzwagon is leaving the station, all aboard! Well done, our minty fresh crab! Love reading pitching content. Keep it up! Nice article…you’re clearly ahead in the count with this one. @Orioles Rising (slowly): Thanks! Worked hard to find the zone in this opener! Nice article…you’re clearing ahead in the count after this one. Damn fine work Mr Itch, Keep scratching out these gems. @Rosscoe: Thanks Rosscoe! Will keep scratching!! Good stuff. I really like Musgrove, not just for the strikes, but for the elite walk rate he has shown at levels coming up. He got rattled a bit in his first trip up for the Astros, but seemed to settle in a bit last year. If he replicates that walk rate and elite control that he had in minors which I think he can and will his fastball and slider are good enough pitches to allow him a K rate of 8-9, and he could be a real solid fantasy 2 or 3. @The Great Knoche: Thanks! And yeah Musgrove is super interesting this year, huh? I went digging through his pitch mix and saw he threw the slider less and the change more. Both were effective, but it was his fastball that took a big step up in outcomes. I’ve got quite a bit about him in the hopper for next week!! You had me at fart festival. I feel the same as the others, great content. Looking forward to future posts. Terrific inaugural article Itch! Excited for the next one. Yeah, Itch, when’s the next one? 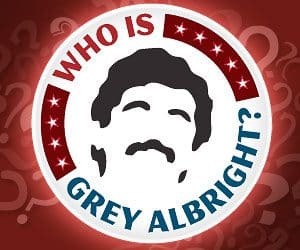 @Grey: Thanks for asking! Been scratching it out whenever I haven’t been shoveling—me: the guy who said to his wife: “let’s not get a snowblower” just this December after she’d pitched it as a self-Christmas gift. Two feet later, I’m an idiot—same as before. @B_Don: Thanks man! Excited to be here! Buckled in! Let’s party! ?????? ?